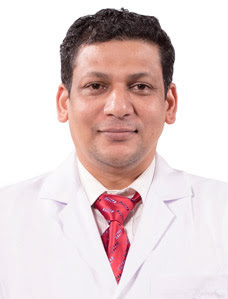 Dr Chandra Bose has Completed training in Plastic Surgery from St. John’s Bangalore and worked at St. John’s medical college as Assistant Professor in Plastic Surgery Dept. Previously associated with at Lakeshore Hospital Kochi, Aster MIMS Hospital Kozhikode and Baby Memorial Hospital, Kozhikode, Kerala India. Aesthetic Plastic Surgery – Liposuction, Abdomino Plasty Breast Surgery, Male breast Surgery Correction, Genital Rejuvenation Surgery. Trauma Surgery – Trauma Reconstruction, Hand Surgery, Facio – Maxillary Surgery.